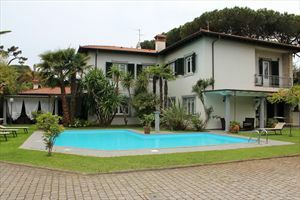 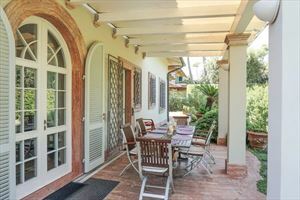 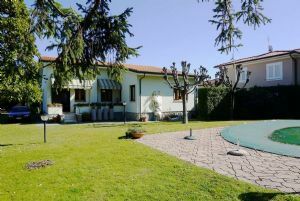 A classic detached villa with a garden is located about 400 meters from the sea and the center of Forte dei Marmi. 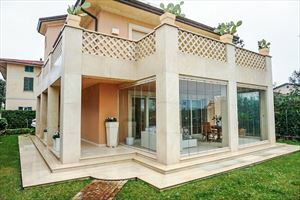 The house consists of a terrace with outdoor furniture, living room with fireplace, 3 bedrooms and 3 bathrooms. 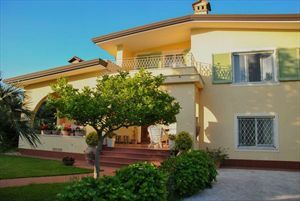 The villa is renovated few years ago and equipped with needments to provide comfort and safety. 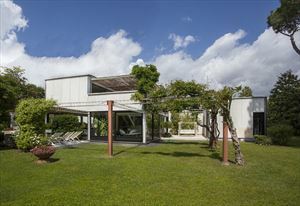 There is a parking space in the garden. 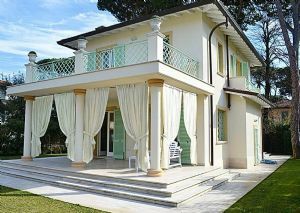 The villa is equipped with air conditioning, alarm, satellite TV, Wi-Fi.